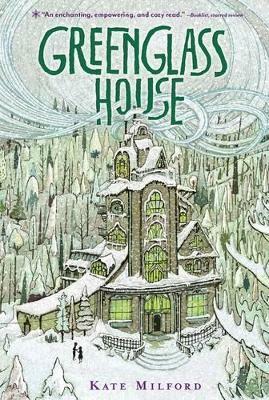 It's wintertime at Greenglass House. The creaky smuggler's inn is always quiet during this season, and twelve-year- old Milo, the innkeepers' adopted son, plans to spend his holidays relaxing. But on the first icy night of vacation, out of nowhere, the guest bell rings. Then rings again. And again. Soon Milo's home is bursting with odd, secretive guests, each one bearing a strange story that is somehow connected to the rambling old house. As objects go missing and tempers flare, Milo and Meddy, the cook's daughter, must decipher clues and untangle the web of deepening mysteries to discover the truth about Greenglass House and themselves. Kate Milford is the author of The Broken Lands and The Boneshaker. She lives in Brooklyn, New York. Visit the tourism website of fictional Nagspeake (where Greenglass House is located) at www.nagspeake.com, and Kate's personal website at www.clockworkfoundry.com.